Your employees are people – they get married or divorced, invest for retirement, buy homes, have babies, help their kids apply for college loans, and experience other life events that require them to change their insurance or produce documents that they otherwise might not keep readily at hand. 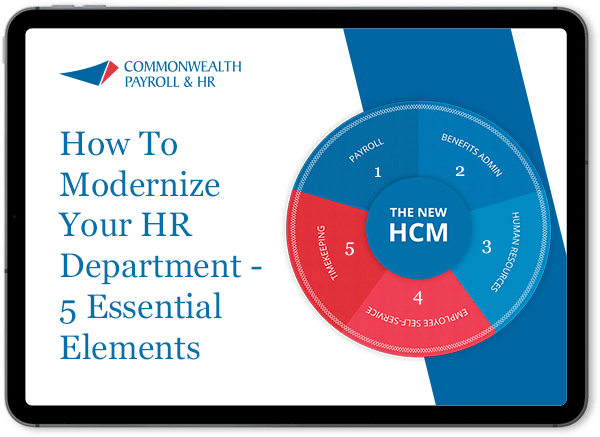 Eliminate your HR team’s need to get involved with these requests and save time and money. 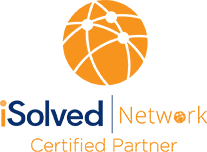 With Commonwealth’s proprietary online system, iSolved, each of your employees will have access to a personalized portal on which they can access documents, tools and other items. You can even allow employees to participate in, acknowledge and review their performance reviews fully online. New Hire Benefit Enrollment: When new employees come on board, iSolved sends a message about enrollment for benefits. The employees can review the plan options after entering their family member details and make their plan selection. This also gives the company a record of its communications with employees, which is good for compliance. New Hire Onboarding: Fully optimize the way that you handle employee paperwork! Native to iSolved, this paperless system notifies the appropriate personnel in a timely manner and takes them through all of the necessary steps, tasks and forms that are part of a proper company orientation. iSolved Onboarding will streamline and allow any new hire to enter information directly into iSolved, avoiding multiple data entry. Pay History Screens: With iSolved, employees can review their pay stubs and view or print copies as needed with history since the beginning of their employment. They can also select to receive an email each payday as a notice that payroll has been run and they can login to their self-service account to view the pay data. Benefits Summary: Employees currently enrolled in a company’s benefits program can easily see their annual contributions and the company’s matching, if applicable. Time off Balances: Employees can also review their vacation or PTO accrual. W2/1099 History: Employees can access and print their W-2 or 1099 for tax time or as needed.